Turbine meter (internal ¾”) equipped with magnetic pickup for pharmaceutical food and beverage applications (3-A San Std 28-03). Mirror electropolished (Ra < 0.6) stainless steel 316L body and super passivated rotor (Rulon® 641 bearings). 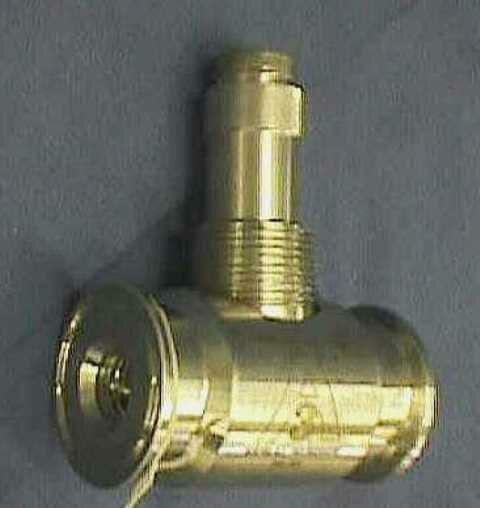 Tri-Clamp 1” ½ end connections. Measure range: 1.5-15 Gallons per minute, linearity ±0.5%, repeatability ±0.05%. Response Time 2-5 milliseconds for step change. Temp -40°C to 109°C. Magnetic pickup output 100 Hz to 1,000 Hz square signal. Supply voltage: +4.5 to 28 VDC. Used with sterile physiological liquids.